Honor 7X has many interesting features that make it one of the most sought after mid-range Android smartphone. There's no dearth of capable mid-range Android smartphones in the Indian market. However, it takes an effort to find that one particular handset which delivers the most bangs for your buck. A smartphone that do not cost us a fortune and never disappoints us when it is most required. Having said that, we might just have found the very product that offers the right combination of performance and style. Priced at Rs. 12,999 for the 32GB base variant, Honor 7X, the smartphone has many positives that make it as our favorite pick in mid-segment smartphone category. Today we are going to discuss all such performance parameters in detail to give you a better understanding of Honor's 7X complete potential. So let's get started. Honor 7X is one of the sleekest and lightest mid-range Android smartphone available in the market. 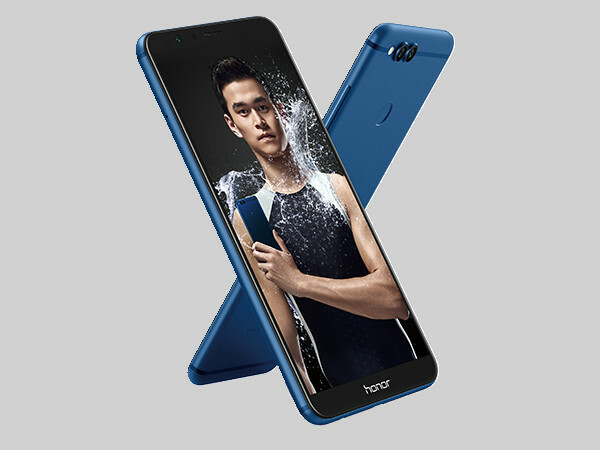 The smartphone comes with a unibody metal design and like previous Honor devices; it also follows a clean and symmetrical design approach. 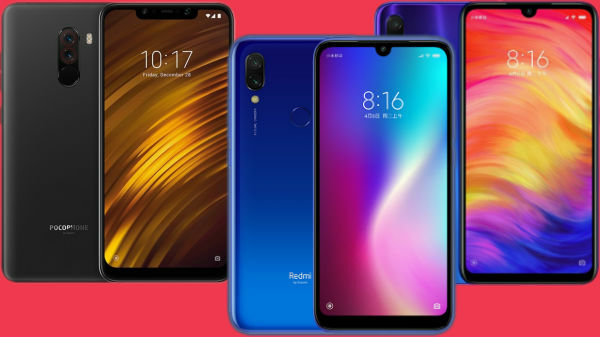 The design also goes in sync with today's time as unlike some other popular mid-range Android smartphones from Xiaomi, Nokia and Motorola, Honor 7X sports an edge-to-edge 18:9 aspect ratio screen. The taller screen gives Honor 7X an edge over its competitors in design as department as other handsets feature standard 16:9 aspect ratio screens that make them look dated. Honor 7X is also quite ergonomic due to rounded corners and correct placement of buttons and fingerprint scanner. Honor 7X is a major upgrade in display department. The mid-range smartphone sports a crisp IPS LCD screen that boasts of a 5.93-inch FHD+ panel offering a resolution of 2160 x 1080 pixels. The 18:9 aspect ratio screen delivers an immersive visual experience that other mid-range handsets cannot match even at higher price-point. Honor 7X is a perfect smartphone for multimedia and gaming enthusiasts. The edge-to-edge FHD+ screen offers stunning graphics while you stream movies or play graphical intensive games. There are minimal bezels around the screen that contributes to the compact form factor of the smartphone. The screen is bright enough and can be readable even under direct sunlight. If you keep photography in your highest regard, you will simply love the new Honor 7X. The smartphone sports the 5th generation dual-lens camera setup from Honor that takes mid-range smartphone photography to next level. The dual-camera setup comprises of 16MP primary camera and a 2MP secondary sensor that captures depth of field information to offer bokeh shots. The overall result is stunning portrait images with impressive detailing. The portrait mode is not just restricted to rear camera setup. Honor 7X's 8MP selfie camera also has the similar ability to capture selfies with good depth of information. The battery capacity of the Honor 7X is 3,340mAh that with moderate to heavy usage lasts for a day without any concerns. What drives the long-lasting backup is the effective software driven technology that intelligently controls the app's and resources' activity to help you get the most out of handset's battery unit. ‘Power Saving Mode' and ‘Ultra Power Saving mode' limits background app activity, disables email auto-sync, system sounds and also reduces screen's visual effects to preserve battery power for tasks that are comparatively more important for you. The company's in-house Emotion UI 5.1 effectively takes care of software department. It brings deeper level of customizations and several nifty software additions that take makes Honor 7X one of the most feature rich smartphone. You can choose ‘Home screen' style of your choice; can customize soft navigation buttons arrangement and give your Honor 7X a new look every day. The fingerprint scanner on Honor 7X serves more than just the security purpose. In addition to add the required security layer, it also allows you to capture pictures, record a video, answer an incoming call, stop the alarm, slide down to access notification panel, browse images in gallery, etc. As far as connectivity is concerned, the exclusive Wi-Fi Bridge feature lets you share a Wi-Fi network. You can use your Honor 7X as a Wi-Fi router to further connect up to 4 other devices on the available Wi-Fi network a time. You also get Huawei Cloud services that automatically synchronize and upload your important data to Huawei's cloud server that you can access any time on any logged device. Honor 7X is not just feature rich; it is also a high performance device at pocket friendly price-point. Backed by a snappy octa-core 2.3GHz Kirin 659 SoC paired with 4GB RAM, the combination ensures you experience smooth processing and multitasking performance while executing everyday and resource intensive tasks.